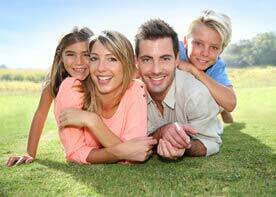 Greenville Periodontal Disease Treatment - Dr. William W. Brown, Jr. Healthy gums are the foundation of healthy teeth, and can be an indicator of your overall health. Did you know that gum disease is associated with heart disease (the number one killer disease in America)? The exact connection is still unclear, but it may have something to do with the body’s response to inflammation. Ultimately, it’s in your best interest to keep your gums healthy through daily brushing and flossing and regular dental checkups. At Brown Dental Associates, we offer comprehensive gum care and periodontal treatment. Whether you have early-stage gum disease or advanced periodontitis, we can restore your gums to optimal health. Gingivitis is inflammation of the gums. When bacteria irritate the soft tissues around the teeth, you may notice swelling, redness and mild bleeding when brushing or flossing. Gingivitis can be easily reversed by proper oral hygiene and professional cleaning. Pockets between teeth, receding gums that make your teeth look too long, tooth sensitivity, bleeding, and swollen gums are signs of advanced gum disease. At this stage, the gums have pulled away from the tooth. If left untreated, bacteria may destroy bone and spread infection to nearby areas. Eventually, the tooth becomes loose and falls out. 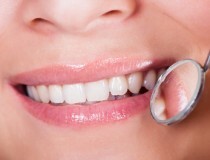 Advanced gum disease treatment involves deep cleaning (scaling and root planing) and antibiotics. Root scaling and planing may be done more than once to remove bacteria and toxins. If the gums fail to heal completely, surgery (pocket reduction or flap surgery) may be recommended. Your dentist in Greenville, SC is one of the few in the area offering Perio Protect, an FDA-approved treatment for moderate to severe gum disease. Perio Protect features special trays that deliver medication and oxidizing agents into the gum pockets. Perio Protect is easy to use, convenient and keeps your gums healthy between cleaning appointments. End gum disease today. Call 864-408-8873 now or click here to reqeust an appointment about Periodontal Disease Treatment at Brown Dental Associates!